Linear equation calculator with steps helps you solve linear equations in one variable, including linear equations with fractions. This online linear equations calculator can be used to solve linear equations or first-degree equations with one variable containing fractional coefficients, including mixed fractions. Pre-defined formats for solving linear equations with fractions in the form ax + b = c and ax + b = cx + d. For any coefficient you can enter a whole number, a mixed number, or a fraction. Coefficients can be negative. 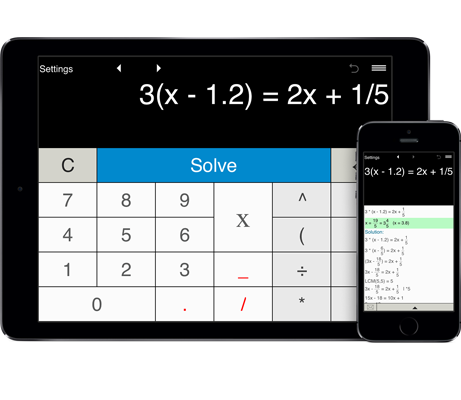 With the Advanced format that could be changed in the Settings window, you can input your equation in any form.